At Empire Citi Properties we help owners sell their home fast regardless of their situation. Facing foreclosure or repossession? We can help. Divorce or No equity? We do this by buying your house with cash and with a quick and effortless close. We are not realtors and therefore no crazy commissions or realtor fees. We are a local Calgary company that has been helping people since 1989. If your home is in Calgary, Airdrie, Okotoks, Cochrane, Chestermere or Langdon please call us now! We can buy your house fast and help you get back on your way. Sick of realtor broken promises or being strung along for a listing? In today’s down-turned economy it has been proven to be very difficult to sell a home, and in some cases it is now taking six or even a year on the market. Most homeowners don’t have this time to wait for a sale of their home, or deal with open houses and the inconvenience of showings. Worst of all who wants to pay sometimes 10 to 20 thousand dollars in realtor fees? We have helped numerous homeowners in Calgary and surrounding areas avoid foreclosure, and sell their house fast, effortless and stress free. Let us help negotiate with your lender or mortgage company and STOP the foreclosure today! Don’t want to move? We can rent you back your home and possibly resell you the home back in the future! Let’s chat and see how we can help you out today! We Buy Houses Calgary, Airdrie, Okotoks, Cochrane, Chestermere or Langdon service is absolutely 100% FREE and there are never any commissions paid unlike using a realtor who can charge Tens of Thousands of dollars to sell your home. Having us buy your house is the best option, because unlike an agent who has to list your house, we can simply buy your house fast, directly and eliminate those outrageous costs! We can offer you the best price for your home, regardless of the condition or repairs that may be required! Many real estate agents will want you to complete the work even before listing your home. We will buy your house “as is”. No painting, No repairs, No staging, No grass cutting is required from the homeowner. We take of all that work once we buy your house ‘Hassle Free’. We pay all of the outstanding mortgage payments, taxes, condo fees once we close. We take care of all of the repairs, painting and costs associated with your house, condo. We will hold your hand and walk you through our easy home buying process and answer questions you may have so you can relax and stop worrying today. We will do a current assessment of the condition of your home and offer you top dollar for your home. We will buy your house fast with cash. Why will Empire Citi pay more for our home? Simple!! When you list your home with a realtor you typically have outrageous commissions added to the price. This is money that you simply will lose and comes out of your equity on closing. We have a different need for your home than a realtor or a normal home buyer. We will typically and most likely rent out your property on a long term basis. We tend to focus on the future value and the cap rate versus how much we are paying today. We simply win together! Your home is sold for more money and we have a new addition to our portfolio. We Help Homeowners In All Situations. 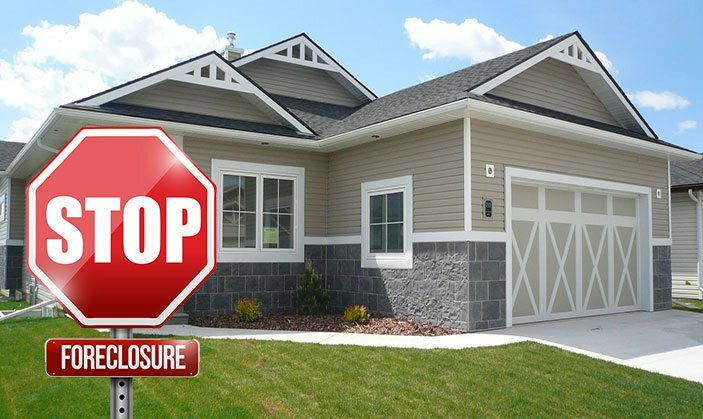 We are Canada’s foremost Foreclosure specialists. Let us help you stop the bank from foreclosing! We lend money to help catch up arrears and may also help mitigate the foreclosure. If our money wont help, then we may just buy out your home and kick the Bank off your doorstep! Want to keep your home? Need more time to pay? Chat with our friends at Canada Credit Fix! Canada’s #1 foreclosure mitigation specialists! Affordable solutions for people needing help! Canada Credit Fix Inc is now offering its “Foreclosure and loss mitigation program” to the Canadian mortgage lenders, insurers and consumers coast to coast. Canada Credit Fix has designed a program that could see as many as 85% of all Canadian foreclosures become avoidable. With their exclusive foreclosure and loss mitigation services being implemented both we can assist the lender and the consumer in reaching fair and reasonable action that can see people keeping their homes and avoiding foreclosure. This process converts into endless millions of dollars saved by banks, insurers and Canadian homeowners. The current system is a complete failure that is clearly proven by the scorching high amount of deficiency judgements and record loss claims made by mortgage lenders to CMHC and Genworth. The “wait and see” approach to the economy is no longer, nor has it ever been a good excuse not to mitigate losses.